The Syrian "Civil War": Bombshell! Russian Military Reveals Details Of ISIS-Daesh Funding, Turkey's Role In Supporting The Terrorists, Complete Transcript, Videos, Documents! NTS Notes: WHY am I not surprised by any of these findings? And of course we have the oil tankers themselves... 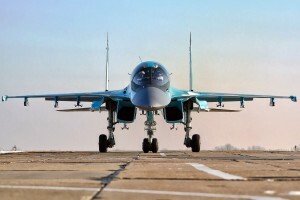 They are not cheap and at a cost of around $200000+ US dollars each, the 1000+ that have already been destroyed by the Russian air force are not cheap, and had to be paid for and provided by someone....My guess is that they came from the US and NATO and the majority have been bought and paid for by the sucker US taxpayers... Would anyone honestly believe that Israel, which has been the windfall recipient of this oil would pay for any of these tankers? What else can be said about the continuing "migrant crisis" still ongoing in Europe? The facts are simpler now that the "ceasefire" is now in effect in Syria, and the Syrian government has basically won their war to keep Syria free.... Send the "refugees" home where they belong! These "refugees" have absolutely no future at all in Europe, and many have indeed discovered that Europe is not the 'paradise' that they have been told and absolutely lied about... Many are wanting to return home and again as I said before the governments in Europe should oblige them and have them sent back to their originating nations.....Instead we continue to find reports of these "refugees" and illegal migrant workers wrecking havoc in most nations around Europe and causing so much economic and social upheaval... I have said all along that this "crisis" was always artificial and that the criminal Jewish elite have long planned to use these migrants flooding into Europe as their means for the destruction of European culture.... Now that most people living in Europe have figured out for themselves the truth about these migrants being used to destroy their nations, it is time for them to take to the streets and demand or revolt against their governments, and force these migrants and "refugees" out.....Again, the bottom line here is that these "refugees" and migrants are themselves wanting out, so it is indeed time to send them home! A Sad Day For Canada: Last Chance To Free Canada From Criminal Jewish Banking Fraud Ends As COMER Case Against Criminal Bank Of Canada Comes To An End! The Bank of Canada vs COMER case appears to have reached the end of its road. It has once again been tossed out of court and there isn't any more opportunity for them to amend their claim and re-file. As recent as February of this year, the court has ordered that COMER have their amended claim struck entirely, the leave to amend was refused, and that costs should be awarded to the Defendants. The COMER case has been ongoing for several years and it was one which was looking to return the Bank of Canada to its pre-1974 mandate of offering interest-free loans. In their case, COMER argued that there has been an extensive breach of the Constitution, when it comes to the current monetary system in Canada. Galati, on behalf of COMER, was arguing that there has been an abdication of executive and parliamentary duty when it comes to the Canadian budget, and that the actual revenues are not presented to Parliament. “They want the Court to interfere, albeit on Constitutional and Charter grounds, with the way Parliament goes about its business,” wrote Justice James Russell. “The Plaintiffs appear to be of the view that, as a think-tank, they can simply come to Court and ask the Court to declare that the Minister of Finance and the Government of Canada are required to do certain things under the Bank Act, and that they have abdicated their constitutional duties, and allowed international private entities to trump the interests of Canadians,” he said. Galati has been involved in the case against the Bank of Canada for the past several years, representing the interests of not only COMER but Canadian citizens as well. As it currently stands, Canadians are paying billions onto interest for loans from private banks and Galati was seeking to change that, with COMER's lawsuit, so that interest-free loans could be afforded to government for various infrastructure endeavors and more. Now we find more and more that the "social media" called "Twitter" is being exposed as just another spy program, and can most definitely be used to harm the user of this horrific program.... It is a little known fact that every single "Twitter tweet" that has been sent out over the Internet is in fact stored in databases used by the US government and I can guarantee the Israeli government as well..... I honestly cannot understand therefore how anyone can use this platform and not see the potential harm they are doing to themselves? 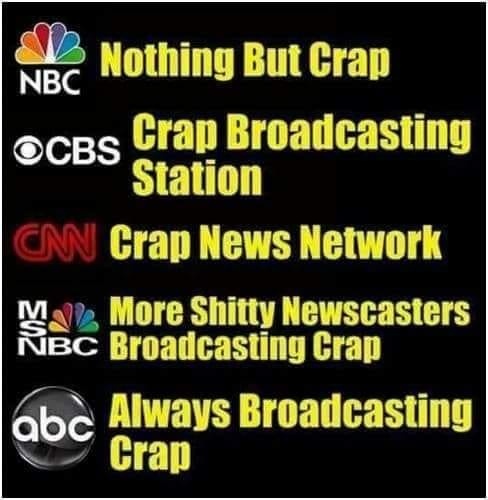 I again cannot understand why ANYONE with any common sense and knowing full well that these "social media" outlets are nothing but spy programs, can sit there and use these outlets? For Those Who Are So Brainwashed By Donald Drumpf (Trump)... Watch This Video! Global Warming: IT’S THE SUN, STUPID! Cosmic Cycles, not Carbon Dioxide, Control Climate. Those who think the political war on carbon will lower Earth’s temperature or keep climate stable need to study climate history. Temperatures on Earth dance to a cyclic rhythm every hour, every day, every month, every season, every year, and to every beat of the sun-spot and glacial cycles. The daily solar cycle causes continual changes in temperature for every spot on Earth. It produces the frosts at dawn, the mid-day heat and the cooling at sunset. It is regulated by rotation of the Earth. Superimposed on the daily solar cycle is the monthly lunar cycle, driven by the orbit of the Moon around the Earth. These two cycles interact to produce variations in atmospheric pressure and tides, and currents in the oceans and the atmosphere. These are the daily weather makers. The yearly seasonal cycle is caused as the tilted axis of Earth’s rotation affects the intensity of solar energy received by each hemisphere. This produces spring, summer, autumn and winter for every spot on Earth. Then there is the 22 year sun-spot cycle, which correlates with cycles of floods and droughts. Sunspot cycles are indicators of solar activity which causes periods of global warming and cooling. Variations on the sun also affect the intensity of cosmic rays reaching Earth’s surface – cosmic rays create nuclei for low level cloud formation, and the shading from such clouds reduces surface temperatures. Earth’s climate is also disrupted periodically by the effects of changing winds, ocean hot spots and submarine volcanism that produce the El Nino Southern Oscillation. The least recognised but most dangerous climate cycle is the glacial cycle. We are fortunate to live in the Holocene Epoch, the latest warm phase of the Pleistocene Ice Age. The climate history of the Holocene, and its predecessor the Eemian, are well documented in ice core logs and other records in the rocks. Each cycle consists of a glacial age of about 80,000 years followed by a warmer age of about 20,000 years, with the peak warming occurring over about 12,000 years. Our modern warm era commenced 12,000 years ago and peaked during the Medieval Warming, so it is probably nearing its end. The Holocene Warmth as revealed by the Greenland Ice Cores. The Eemian Warm Period was warmer than today. There have been eight warm eras separated by long glacial winters over the last 800,000 years of the Pleistocene. In every beat of this cycle, the vast ice sheets melt, sea levels rise dramatically, coral reefs and coastal settlements are drowned, and forests and animals re-colonise the higher land released from the ice. Warm climate animals such as hippos, water buffaloes and elephants got as far north as Germany in the last warm era. This regular repetition of natural climate change is partially explained by the Milankovitch cycles relating to changes in Earth’s precession, orbit and tilt. These drive variations in solar energy received by Earth and have the greatest temperature effect on the large land masses of the Northern Hemisphere. On an even longer time scale, oscillation of the solar system through the plane of the Galaxy seems to trigger magnetic reversals and violent spasms of volcanism, crustal movements, glaciation and species extinction. Earth is never still for long. These cycles interact to produce a wide range of ever-changing temperatures. Even at the same moment, temperatures vary dramatically from the equator to the poles and from the surface to the stratosphere. For would-be climate “managers” to claim they can calculate a mythical “global temperature” with precision greater than thermometers can measure is statistical nonsense. It is a wonder of the modern era that people who cannot accurately forecast next weekend’s weather claim they can regulate the temperature of the whole globe by bashing industry and taxing carbon. What is the role of carbon dioxide in climate? Al Gore did a great job to dramatize the recurring glacial cycles in his widely acclaimed work of science fiction. But he missed two inconvenient truths. First, ice cores show that in the glacial spring-time the temperature rose BEFORE the CO2 levels rose. Therefore the rising CO2 cannot be a CAUSE of the warming – it is a RESULT of CO2 being expelled from the warming oceans. Second, at the top of every summer-time in the glacial cycle, the high levels of CO2 in the atmosphere were unable to prevent the cooling into the next cycle of ice. We are already in the autumn of the current glacial cycle and nothing man can do will change that. Global temperatures today are lower than they were in Roman and Medieval times. They will still fluctuate with the effects of daily, lunar, yearly and sun-spot cycles, but the long-term trend of maximum and minimum temperatures will continue drifting downwards. Once summer temperatures in places like Siberia are unable to melt last winter’s snow, the already growing glaciers will join to form ice sheets and Earth will once again be gripped by another long Glacial Winter. The transition from Greenhouse Earth to Icehouse Earth always occurs suddenly. Once our verdant greenhouse is gone, life on Earth will never be the same again. Greenhouse Earth will surely come around again, but many of today’s species will probably not survive to welcome the return of the warmth. The warm days, seasons, years and epochs have never been a deadly threat to life on Earth. Frost, snow, hail and ice are the killers. If our descendants do not have the energy, resources and wisdom to keep their people warm and fed through the coming glacial epoch, humans may follow our Neanderthal cousins who perished in the last glacial winter, just 20,000 years ago. There is NO evidence in climate history that carbon dioxide has a detectable effect on global temperatures. However if our continued use of cheap reliable hydro-carbon energy does slightly delay the onset of the next glacial winter, we and all life on Earth should count ourselves extremely lucky. NTS Notes: As I stated in the title of this article... In regards to the facts that the Sun drives our climate and this planet's warming/cooling cycles.. "Well, Duhhhh..."
The Truth About The Impending Syrian "Ceasefire" Agreement: The Russian-American Agreement On Syria? The Russian-American Agreement on Syria? First: nobody is suggesting anymore that Assad will be ousted or Damascus taken. That, in turn, means that everybody has now recognized that Syrian Arab Republic, backed by Russia, has successfully repelled the aggression of the huge coalition the AngloZionists built to overthrow Assad. Second: Russia has forced the UNSC and the USA to admit that the vast majority of those who fight Assad today are terrorists. Of course, this is not how this was declared, but if you look at the organizations which the UNSC has already declared as ‘terrorists’ then you already have an absolute majority of the anti-Assad forces. This means that the moral and legal legitimacy of the anti-Assad forces is lies in tatters. Third: regardless of what Erdogan does actually try to do next, there are now clear signs that neither NATO, nor the EU nor even the Turkish high military command want a war with Russia. And that means that Erdogan’s gamble has not paid off and that his entire Syria policy is now comprehensively dead. Keep in mind that following the treacherous attack on the Russian Su-24 the Kremlin made it a policy goal to “Saakashvilize” Erdogan. This goal is now almost reached and Erdogan’s future looks very, very bleak: everybody ( except maybe the Saudis) is sick and tired of this maniac. The best thing which could happen to Turkey now would for the military to get rid of Erdogan and to replace him with somebody willing to repair all the damage he did. Fourth: all the threats to impose a no-fly zone or to occupy Syria have now been invalidated by an agreement which basically declares that anybody not respecting the cease-fire is a legitimate target for engagement and destruction. Fifth: the USA had to accept the humiliation of having to agree to all of the Russian terms for the current ceasefire. Yes, of course, the USA can, and probably will, try renege on part, or all, of this agreement, but the precedent has been set and it will be very hard, if not impossible, for the USA to openly return to the pre-2016 policies. Sixth: does anybody still remember the rhetoric of Hillary Clinton about Syria and Russia? Her position was crystal xclear: Assad must go and those who support him “punished”. Even after the Russian military offensive began, the US refused to tell the Russians where the “good terrorists” were and where the “bad terrorists” were. No exchange of information with Russians was acceptable. Now the Americans had to agree to work with the Russians on a map of Syria designating where the participants of the ceasefire and were those who were not included in the ceasefire were deployed. In other words, the US will now have to share with Russia all the info it previously refused to share and work with the Russians on a daily basis. Seventh: Russia has basically co-opted the so-called “Free Syrian Army”. How? By basically forcing every single faction in Syria to chose between one of two possible statuses: being a ‘terrorist’ (and a fair target for destruction) or being a participant in a political process entirely designed by Russia. The Russians are now even opening a “Truce Center” at the Khmeimin airbase near Latakia which will now “render assistance” to all the parties to the ceasefire. This, for the time being, mainly a diplomatic victory, of course, but a Russian diplomatic victory made possible by a Russian military victory. A tiny Russian military contingent has basically completely neutralized the plans of an entire worldwide Empire. That, in itself, is an amazing achievement. The other big winner here are, in my opinion, the Kurds who, according to British officials, appear to be coordinating their military operations with the Syrian army and the Russian Aerospace Forces and who now might well even achieve their dreams of joining the Iraqi and Syria regions of Kurdistan. Which is just about the worst nightmare for the Turks come true, hence the still remaining risk of a Turkish military operation ostensibly to create a ‘buffer zone’ but really to save face. That kind of intervention will remain a possibility for as long as the Turks can continue to hope to commit aggression against their neighbors under the protection of NATO and the USA. And that ain’t gonna change anytime in the future. Actually, since Pakistan got The Bomb, I would not dismiss any Saudi claims of having a number of nuclear devices. But what does that really mean? It is quite possible that the Saudis have the know how for a nuclear device. And it is quite possible that they even got their hands on enough nuclear materials for a few bombs. They might even have succeeded in purchasing a few nuclear devices from the Pakistanis or Israelis. But even if that is true, the reality is that the Saudis don’t even have the military capability to deal with the poorest Arab country on the planet (Yemen) and that they most definitely don’t have the military capability to engage their nuclear devices in a way which would allow them to achieve any kind of military advantage. After all, what are we talking about here? Using nuclear weapons against the Syrian military? Against Iran? Against Russia? This is absolutely ridiculous. The reality is that whatever nuclear capabilities the Saudis might or might not have, the fact that they would make nuclear threats is just a sign of weakness and fear, not a sign of strength. This is why nobody is impressed by these statement, least of all the intended targets of such threats. While it is quite true that the latest agreement between the USA and Russia does not mark the end of the war in Syria, it is a turning point, a kind of a Minsk-2 Agreement which nobody really wants to comply with, but which seals the defeat of the AngloZionist plans in Syria as much as Minsk-2 meant the defeat of the Ukronazi dream. Time is now on the Russian/Syrian side. 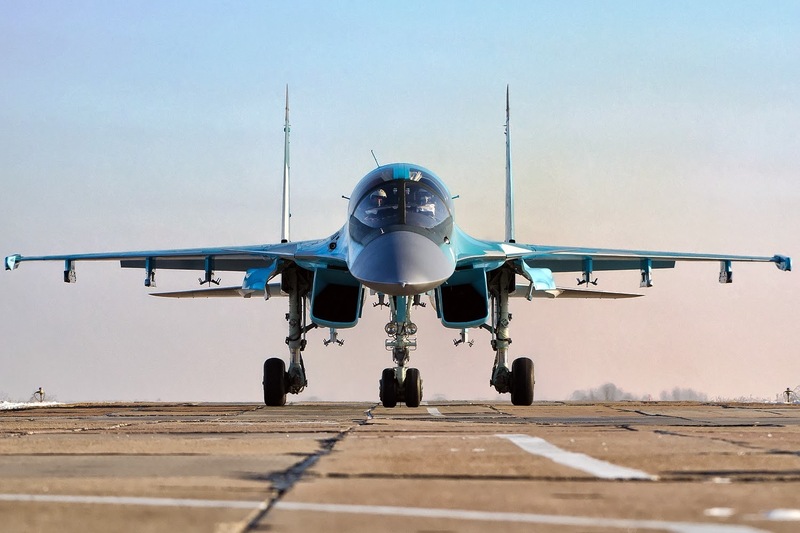 With each passing day the Russian task force in Syria will become more powerful, as will the Syrian Armed Forces. That, by itself, will not be enough to defeat Daesh, and we can expect a stiff resistance from the Takfiri crazies, but the writing is on the wall for all to see: the more the Russians and the Americans become directly and jointly involved, the less Turkey and Saudi Arabia will be able to determine the outcome of the war. In other words, while this is far from being the end of Daesh, it is the beginning of the end for Daesh in Syria. Yet again the nay-sayers and Putin-haters have been proven wrong. To be honest, so have I: I would never have guessed that the Russians could have achieved so much with so little and yet they did pull off this extremely dangerous gamble and they won. Only an extremely skillful combination of military, economic, diplomatic and political means could have yielded such a remarkable result but Putin, apparently, found this perfect mix. The path ahead remains extremely dangerous, for sure, but the outcome of the 20 week Russian military intervention in Syria is nothing short of remarkable. The US/Israel cabal will indeed simply use this "ceasefire" to plot their new diabolical plans to have Syria destroyed... I said several articles ago that I am truly shocked that the Russians would even allow this "ceasefire" to take place simply because they are not only winning the war for Syria, but they have made a statement to the entire world about how truly criminal the US is...... To me, now that the last vestiges of the US/Israel fraud "terrorists" are now either on the run or about to be destroyed, they should finish the job! NTS Notes: OK, I watched it several times, and YES some of the points made are valid.. But there are others that are severely lacking in this presentation and I will explain them here.. I do agree with Daryl that there is going to be much upheaval all over the planet very soon.. However, I do hope that the American citizens' rights to obtain and bear arms does not mean that when the time comes that they do not turn their guns on each other... It is my hope that with enough information about the scoundrels responsible for their demise that they turn their guns against THEM! Stripe Deplatforms The Realist Report - This was inevitable.